When the universe began, it all fit into a very tiny volume that then violently “exploded” and began to expand, ultimately creating all of the energy, matter, space and time. Immediately after the Big Bang when there was only very hot energy, there was an Inflationary Period caused by to a false vacuum with repulsive gravity that expanded faster than the speed of light, but then inflation ended. After that the universe continued to expand until it cooled enough for subatomic particles to condense out of energy. Both matter and antimatter particles were created, so that most of the particles annihilated each other leaving only a small amount of leftover matter. When the universe expanded and cooled further, subatomic particles were formed into the lightest atoms, mostly hydrogen and helium with a tiny amount of lithium. Only when atoms of Hydrogen dominated the universe did the universe become transparent to radiation, e.g. light, X-Rays. The very uniform Cosmic Microwave Background radiation is the cooled, redshifted remnant of the light from the Surface of Last Scattering, just before the universe became transparent to energy. When objects such as stars were formed that could produce ions, the neutral universe became a reionized plasma. Much later, as bodies moved farther apart, expansion began to accelerate due to Dark Energy, which is a repulsive force, counteracting Gravity. Ordinary matter and energy make up less than 10% of the universe. Dark Energy and Dark Matter, neither of which has been directly detected yet, make up the other 90-plus percent. Dark Matter, which interacts only through gravity, is responsible for 1.) the formation of large scale structures, 2.) galaxy rotation rates that do not decrease with distance from the center and 3.) “closing” the universe to a finite size rather than an “open” universe that is infinite. But is it science? What is the evidence for this scenario and are there other possible explanations that have been ignored? Solutions to Einstein’s general relativity field equations by Georges Lemaitre and Alexander Friedman in the 1920s that predicted expansion (or contraction) of the universe. Alternative Possibility: There are many possible solutions to Einstein’s field equations, so choosing this one only fits a preconceived or preferred idea. It was seemingly confirmed by the redshift data. See below. The field equations are mere mathematical models of mathematically possible universes. Einstein’s own calculations included a Cosmological Constant that resulted in a static, non-expanding, universe, which did not fit with the desired progressive picture of others. At one point he supposedly renounced the Cosmological Constant when he told George Gamow that the “…the introduction of the cosmological term was the biggest blunder of his life,” although some others who knew him contended that, if true, it must have been a joke. Note that this so-called Einstein quote was only related by Gamow in 1970, not directly by Einstein who died in 1955. Long after rejecting Einstein’s Cosmological Constant, cosmologists have included a new Cosmological Constant, attributed to Dark Energy, to explain an apparent acceleration of expansion. Redshift of light increases with distance indicating, by the Doppler Effect, that objects are receding and space between is expanding. Alternative Possibility: Redshift could be due to other factors than the Doppler Effect. 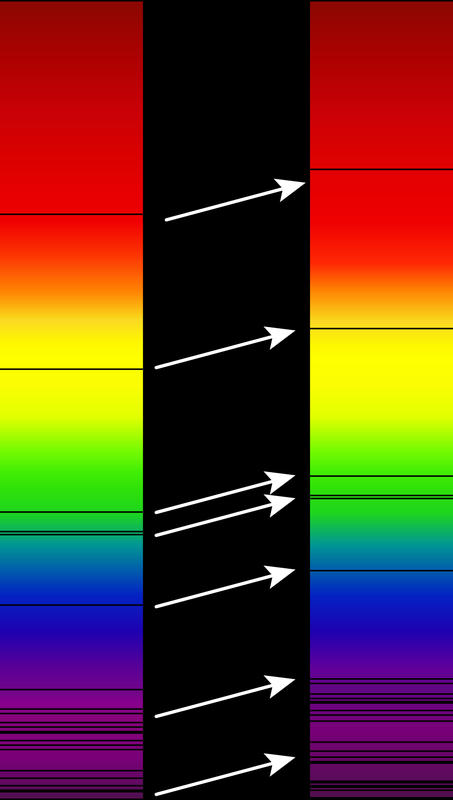 Longer wavelength(redshifted) light has lower energy so redshift could be from loss of power rather than from being stretched by receding sources. We know that light is affected by gravity and other fields and forces. We also know that farther is older, so forces acting on light have been acting longer the farther the object is from us, causing ever increasing redshift with distance. Fritz Zwicky proposed that gravitational forces sap energy from light as it passes. His detractors called it “Tired Light” and wrongly attributed it to collisions in the Compton Effect, which Zwicky expressly excluded as causing too much scattering. See Hubble post. Large scale uniformity of the universe as evidence of early inflation. Alternative Possibility: This is a red herring. The CMB is not that uniform, nearby galaxies are excluded and the visible universe may be a tiny part of an infinite universe that is not expanding, so no need to explain the supposed uniformity. 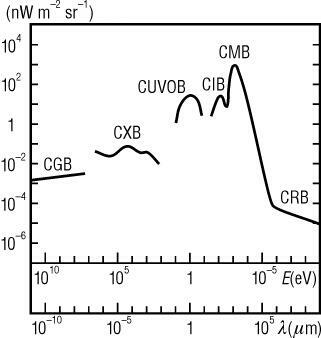 Mismatch of type 1A Supernovae standard candle redshift, interpreted as an acceleration of expansion and as evidence of Dark Energy, a repulsive force. Alternative Possibility: This is a no-brainer. No real intergalactic distances have ever been measured. They are calculated using a series of standard candles, so they may not be the actual distances and error likely increases with distance. The standard candle mismatch does not necessarily mean there is a change in speed, only that there are forces we don’t understand that may affect standard candles or redshift. Dark Matter, which has never been detected, is proposed on the basis that, by the Big Bang timeline, (13.7 billion years) there has not been time enough to form the large structures composed of galaxies without some unseen influence drawing galaxies together. Galaxy rotation is still a mystery but if a Dark Matter halo is causing it, there must be an extraordinary balance in each galaxy to account for observations. Unlike the solar system, where outer planets move slower than inner planets according to standard gravitational calculations, galactic outer bodies appear to revolve in near unison with the inner bodies. Dark matter is proposed to account for this unsolved mystery. Alternative Possibilities: If the universe is not expanding and is both infinite and very, very old, large scale structures are not a problem. Galaxy rotation, while still a mystery, may have more to do with the galactic plasma magnetic fields than gravity alone. Work is needed in this area but is not funded by leading cosmologists who prefer to believe in magic foo-foo dust. It turns out that the universe is nearly flat, not severely curved and finite as first proposed. There is no need to “close” the universe if it is not expanding. Unfortunately, this is not what we see in cosmology, which has become mired in dogma and has not allowed further progress that does not fit with their nested set of assumptions. Redshift interpreted as recessional speed and a preferred mathematical model that predicted expansion are the basis of modern cosmology. Other views or data are not considered, funded or published. Conclusion: Cosmology as we know it is not science. It is a religiously held philosophy that supports the progressive anti-god agenda.